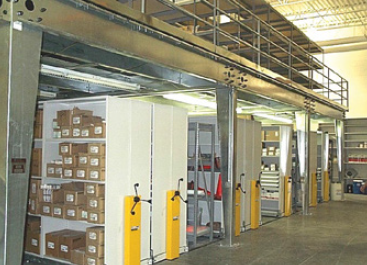 Spacesaver® Compact Shelving makes your material handling or industrial facility more space efficient and productive. 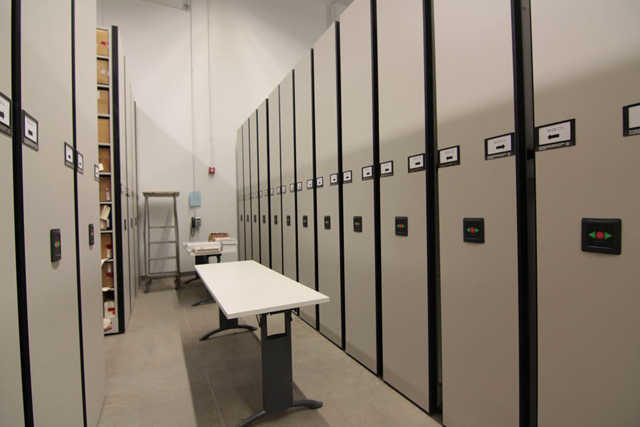 Typically, most of the aisle space within a storage system is not used at any given time. 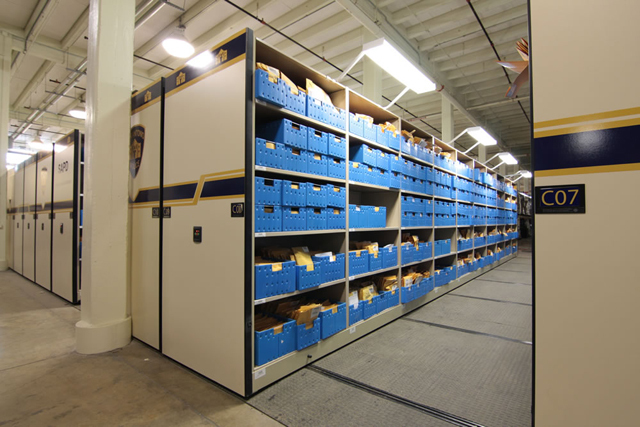 Rolling Compactor Storage Shelves take that wasted space and turn it into productive storage space. 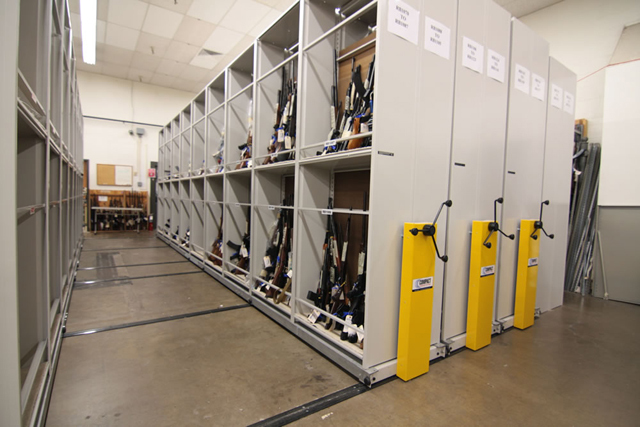 Mounting stationary pallets or shelves on rolling movable carriages that slide back and forth on floor tracks compacts your shelving to remove unnecessary access aisles and replaces them with movable access aisles based on your activity levels. 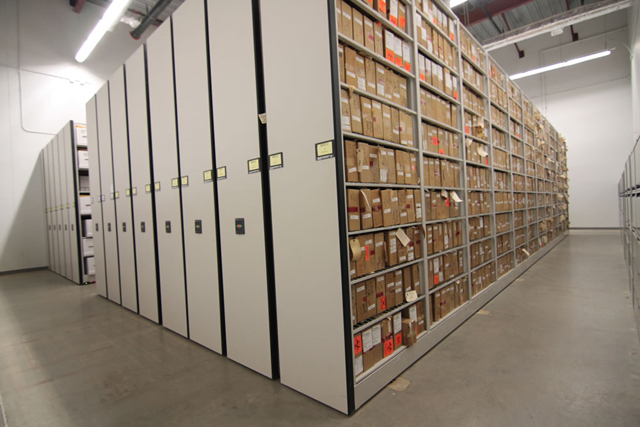 How Much Space Will You Save with Compact Shelving? 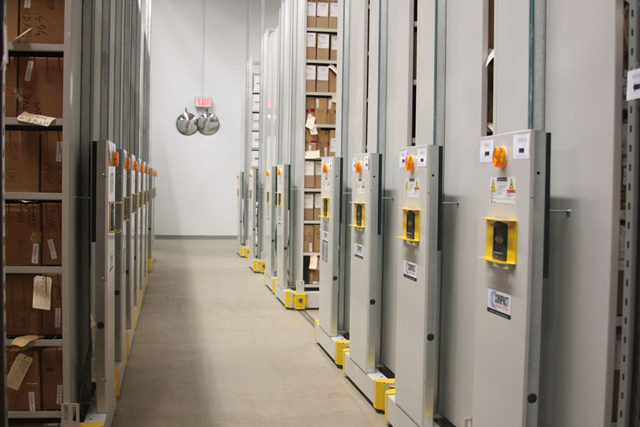 Rolling Compactor Storage Shelves take up less than half of floor space that stationary shelving and pallets use. 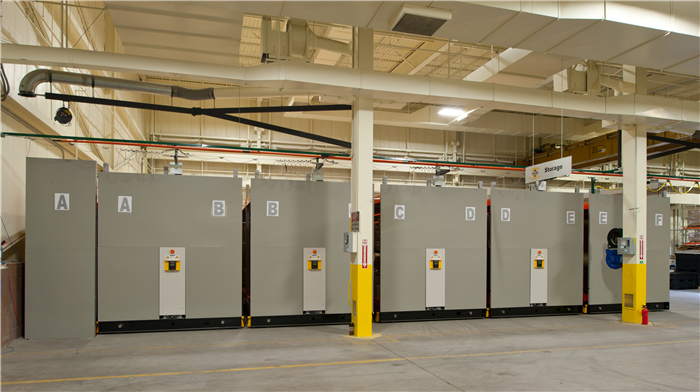 When you eliminate wasted aisle space with Compact Shelving, you will either double your existing storage capacity or free up space for other functional areas. 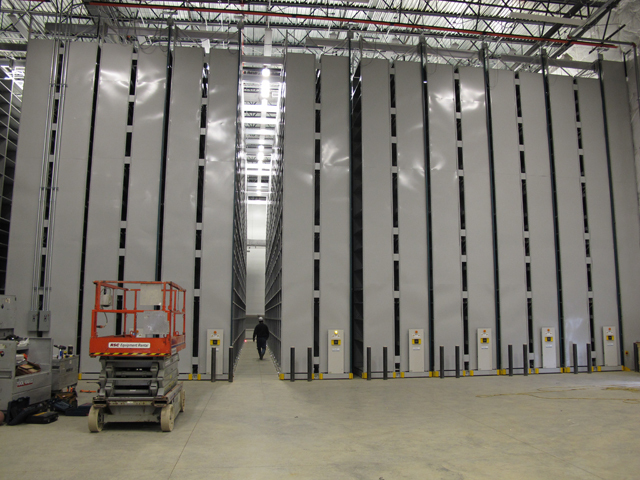 Also, you can lease or build a smaller warehouse storage space or eliminate off-site storage usage. 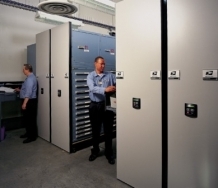 What Can You Store in Rolling Compactor Storage Shelves? 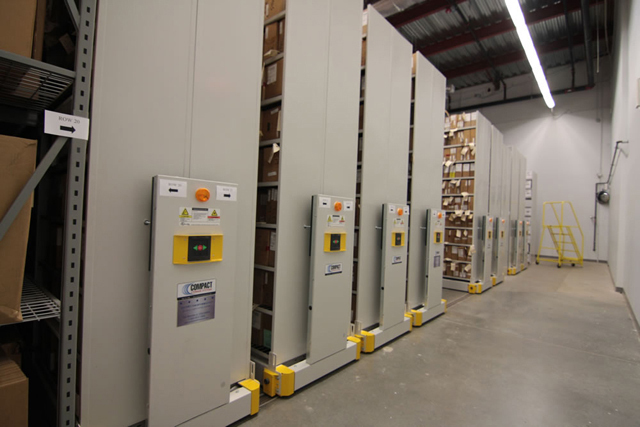 Rolling Compactor Storage Shelves have two different modes of operation: mechanical assist hand crank systems and push button powered systems. Powered Compact Shelving systems offer ease of use, protection, and security for all of your stored assets. 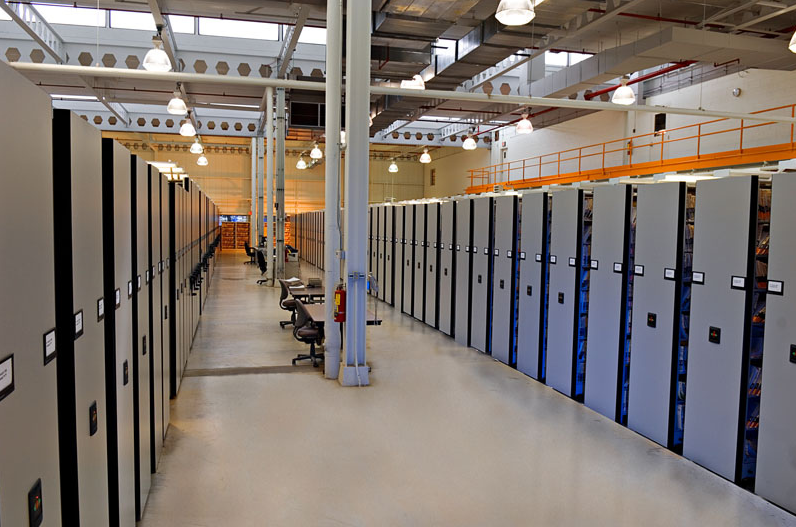 When the job is large or demands safety and security, the fire protection, security, user safety and one touch operation of powered systems is the answer. 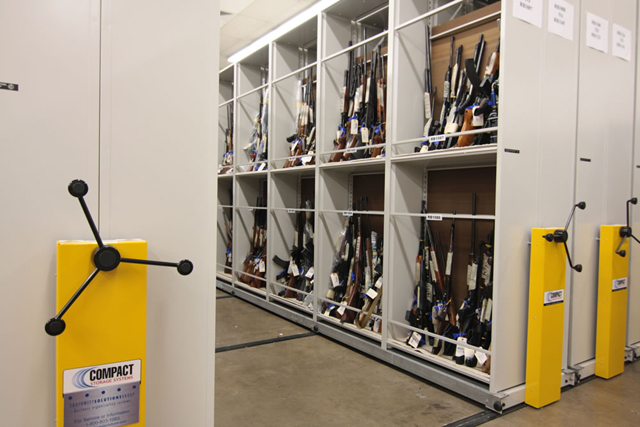 Mechanically assisted systems are designed with ergonomically designed handles with easy movement no matter what the weight load.